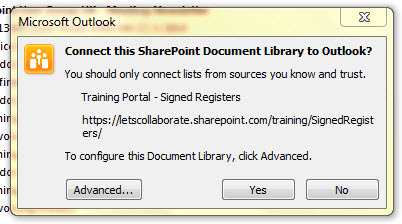 There are occasions where you’d need to email a document living in SharePoint to someone outside your company. 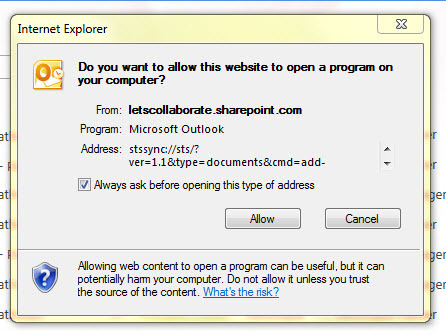 If you don’t have an extranet environment or SharePoint 2013 external sharing allowed for them to access, you can just sync your library to Outlook instead, then forward the documents from there. Click the Library tab on the ribbon and Connect to Outlook. And the library will sync to Outlook. 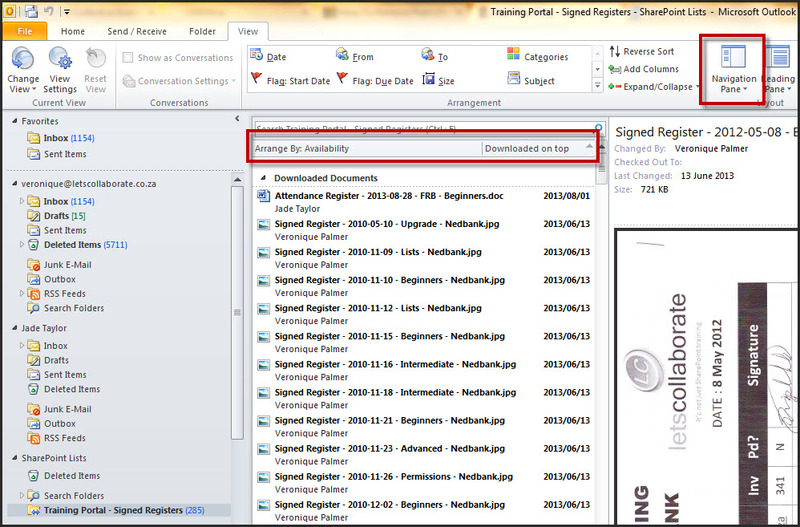 Just give it a few minutes to download all the documents so they’re available in Outlook. Then you can change the view and sort settings to your preferences. And forward the documents thereafter as required. 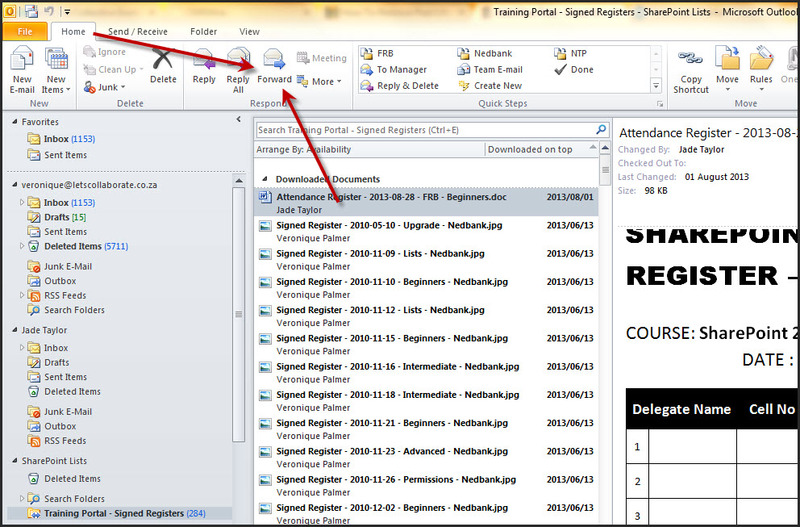 Select multiple documents at once if you need to email more than one at a time. Works in SharePoint 2010 and 2013 and Office 365. Next We’re a Bunch of Block Heads! Thanks for the heads up on 2007, I can’t remember what SharePoint 2007 looks like anymore and don’t have access to that environment. You can’t see anyone’s name in those signatures, and the signatures are not distinguishable.